It set me wondering. How much do people know about herbicides (often lumped in the same group as pesticides), and in particular the popular Roundup®. Why are people still using it despite all the warnings? Do they believe that if it’s sitting on shelves in DIY and garden centres, or if they ignore the dilution instructions that it’s safe to use? There’s a vast amount of information available about why we should be concerned about excessive herbicide use and quite possibly an equal amount of reports claiming it’s safe. I’ve re-written this article several times in trying to narrow my own thoughts and help you choose alternatives. If you want to skip the reasons and head straight to the 16 alternatives below, just scroll down to the list. If you can think of any more, please leave them in the comments. However, I’m beginning this post with some background on Monsanto, the company that make Roundup® and one who recorded profits for the quarter ended 28th February 2015 of $1.43 billion. Do you remember DDT? It was one of the first, and most widely used pesticides that came onto the market after World War II and was heralded as the answer to farmers dreams as it wiped out pests across acres of farmland. It was banned in the US 40 years ago, yet it took until 2001 before it was banned worldwide by the Stockholm Convention for Agricultural use for Persistent Organic Pollutants. Many people living in Ireland remember DDT being dusted in beds and even on themselves as they grew up, to rid homes. However, long after the pesticide has ceased to be available, residues continue to show up in food and human blood supplies (hence its persistent pollutant ban). Its health implications are alarming with pages of research undertaken about its harmful effects. One report I came across indicated that “girls exposed to DDT before puberty are 5 times more likely to develop breast cancer in middle age, according to the President’s Cancer Panel” and I’m now wondering if this is why breast cancer rates are high and growing. Yet in the early sixties, a courageous American scientist by the name of Rachel Carson highlighted the dangers of DDT in her book Silent Spring, alerting people to the terrible consequences of the overuse of insecticides, which triggered the establishment of the American Environmental Protection Agency (EPA). Why was she so courageous? Because this woman went up against the incredibly powerful and wealthy pesticide industries who did their utmost to professionally discredit her, and are still trying to do so. Although banned for agricultural use, DDT is still being used in affected countries to fight malaria. Why am I bringing the story of DDT up now in relationship to the weedkiller Roundup®? Because it’s impossible not to see parallels once you start looking. DDT was a product of Monsanto who, in the 1970s, brought a new herbicide to market called Roundup® which contains among others, the chemical glyphosate. This chemical in particular is being linked to many of our current day health and neurological diseases and groups around the globe are now fighting a similar battle as Rachel Carson once did, trying to have it removed from shelves and food chains. It took forty years before DDT was banned for agricultural use worldwide. Do we have to wait another 40 years for Roundup® to go, when it’s already been linked to new worries? Apart from killing weeds in urban and city gardens, the biggest users of the world’s most popular herbicide are farmers as they try to find ways to control the weeds around their crops. As a result of its extensive use, Roundup® is impossible to avoid as residues are contained throughout our food chain. It’s sprayed on fields before seeds are sown, on or around plants as they grow, and again to kill of the top growth before harvest. The sprayed grains are fed to our animals which we then consume, we wear cotton clothes sprayed with Roundup® and we eat fruit and vegetables regularly doused with it. Friends of the Earth undertook a study and found Roundup® residues in the urine of 44% of people tested from 18 European countries but it’s used by 160 countries – great news for Monsanto and their stockholders, but a horror story for our soils. Although their second quarter sales in 2015 for pesticides and herbicides dropped 14%, Monsanto’s productivity agricultural sales still managed to reach $1 billion. Apart from pesticides and herbicides, a huge part of Monsanto’s business is in seeds. They develop and own the patents on genetically engineered seeds, known as Roundup Ready, which produce plants such as corn, cotton and soybeans that resist the herbicides sprayed in the fields around them. Within the space of 15 years in the US alone, Roundup®’s use grew from less than 11 million pounds in weight to almost 300 million pounds. And yet this quick fix solution to protect fields from weeds seems to have backfired as the weeds are evolving to be resistant to glyphosate and are growing back stronger and thicker than ever. So with nature being what she is, strains of super weeds have evolved, resulting in farmers having to apply increasingly more Roundup™ or turn to stronger weed killers. Representatives try to reassure us that glyphosate, the active ingredient contained within Roundup®, acts on an enzyme that exists only in plants and not mammals, so we don’t have to worry, yet as its use dramatically increases, so too do human diseases. Coincidence, or something more worrying? Whilst research has to be undertaken on the active ingredients on glyphosate, it doesn’t on the inert ingredients. Nor does it have to be carried out on how chemicals react when they meet different ones, or as far as I’m aware, the accumulation or cocktail effect. Personally we’d rather not take the risk with our own family’s health. There are many things in this day and age that are considered harmful, including smoking, drinking, eating sugar and eating meat, but we can choose whether we want to do those. The use of Roundup® is so pervasive, it’s impossible to avoid, unless we switch wholly to organic which can be difficult for financially strapped families, though the Holistic Life blog has a post on how we can try. Roundup® use on conventional food is the number one reason we grow our own food here at Greenside Up. Nature is complex and constantly evolves, and I’d suggest an area that scientists will never fully understand in our lifetimes. Can scientists, hands on hearts, swear that the herbicides and pesticides or GMO’s they’ve created won’t harm us, our animals, or the soil and microorganisms they land upon? There are alternatives. They might take a bit more effort, but they are effective. If you’d like to ditch the chemicals and switch to organic methods of weed control, here are 16 ideas to get you started. When you’re planning your garden, consider keeping it as low maintenance as possible. Look at the problem areas and think of alternatives. Use gravel under fruit areas, plant shrubs that will cover the soil, or pave pathways. Anything you can plan now to make your garden as low maintenance in the future will pay dividends. Mulches can have a double benefit depending upon the type. Well rotted compost, leafmould and animal manures spread on top of soil will not only feed it, but also suppress weeds – a double bonus. You can find a more detailed post about mulching here. It’s recommended to keep our soil covered to prevent soil erosion and maintain nutrients. Mulches can do this but so too can sowing a green manure that can be cut and dropped, or cut and dug in again. It will feed the soil and if your timings are right, will prevent weeds coming through. In flowerbeds and borders, choose ground hugging plants to grow between shrubs and perennials and try not to leave space between plants, which will attract weeds. Crop rotation is one of the fundamental systems of soil management. It not only helps to prevent pests and diseases building up in the soil, it also helps to prevent weeds. Some crops such as the Brassica – cabbage and kale – will suppress weeds as their large leaves grow and they prevent light reaching the soil and subsequent weed germination. Others like alliums, leave lots of space for weeds to accumulate. Moving them around each year will disrupt weed life cycles. Covering the soil over winter, or preparing it in the spring a few weeks before sowing will allow the weeds to germinate and offers the opportunity to remove them easily before the new crops are sown. 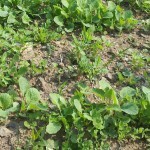 With careful crop rotation it’s possible to almost completely eradicate weeds, as can be found in the example on a farm here. Good soil management is a combination of 2, 3 and 4 above, along with adding an annual dose of well-rotted manure or garden compost. As you manage your soil each year and learn to understand it better, the weeds will become less troublesome. Whilst I’m familiar with biological controls for pests in the form of nematodes, I was intrigued to find they’re being used successfully along waterways here in Ireland, as well as by exasperated farmers in the US who are trying to move away from the GM/Roundup cycle they’ve found themselves. You can read more about biological weed control here. I tried Irish Organic Weedkiller for the first time this year as we’ve put down a gravel drive and it did a great job on the stray dandelions and scutch grass. It’s a vinegar based product and if you’re reading this outside Ireland, look out for similar products in your own countries or simply try dosing the weeds with distilled vinegar. Flame guns (a small gas cylinder on the end of a rod) are great for spot weeding pervasive perennials and annual weeds and are another example of a technique that can be used on paths and driveways. Hand weeding or hoeing weeds, roots and all, is one of the best ways of weed removal but it can be time-consuming and at times, hard work digging them out. Many people find hand weeding therapeutic and the trick is to do it little and often. An hour or so once a week is far easier than a full day once a month. 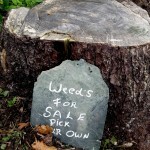 If you don’t have time to keep on top of the weeds, consider employing someone to help. Gardeners for general maintenance can often by found advertising in local papers and ads in news agents and will welcome the opportunity to get stuck in for a couple of hours each week. If you’re worried about how untidy your road fronts or garden edgings are looking, invest in or hire a strimmer. If you strim before the weeds flower and the seed heads set, you’ll keep knocking them down and prevent the problem escalating. Yes, you will have to keep doing it, but you’ll have to keep spraying with weed killers too as they don’t eradicate the problem for ever. Again, invest in or hire a power washer to remove moss and weeds from Tarmac or paved drives. Power washing is a great way of cleaning up, without adding chemicals to your frontage. If you’ve a large area that you want to cultivate later on, or are having trouble keeping on top of a lawn, consider getting some sheep, a goat or pigs. Whether for pets, or for the freezer, goats are fantastic at tackling brambles, sheep will keep the grass and weeds nibbled down, and pigs will not only eat the weeds, they’ll turn the soil over ready for future planting. Learn weed life cycles. If you begin to understand the weeds in your garden, whether it’s the roots, the seeds or both that cause the problems, you can address them. Some annuals like Hairy Bittercress burst their seeds into the air, covering everything around them, whilst Docks root deeply and new plants will grow from them if you snap their roots. Nettles make a fantastic natural fertiliser that your plants and vegetables will love you for. Here’s an archive post with the recipe. Many weeds are edible and once you’ve correctly identified them, can be used in the kitchen. 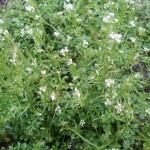 Hairy Bittercress and chickweed can be added to salads, as can dandelion leaves or their flowers made into honey. Red clover can be steeped in water for a hot tea, plantain can be sautéed with garlic and sorrel added to stir fries. 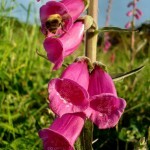 Buy a wildflower identification book or borrow one from a library and familiarise yourself with this additional bounty. The clue was in number 15… the majority of weeds can be found in wildflower books and many have herbal properties. Some are beautiful, most are listed in herbal preparation books whilst pollinators and bees love weeds. To them they’re just another food source – just look at a Ragwort flower in late summer. 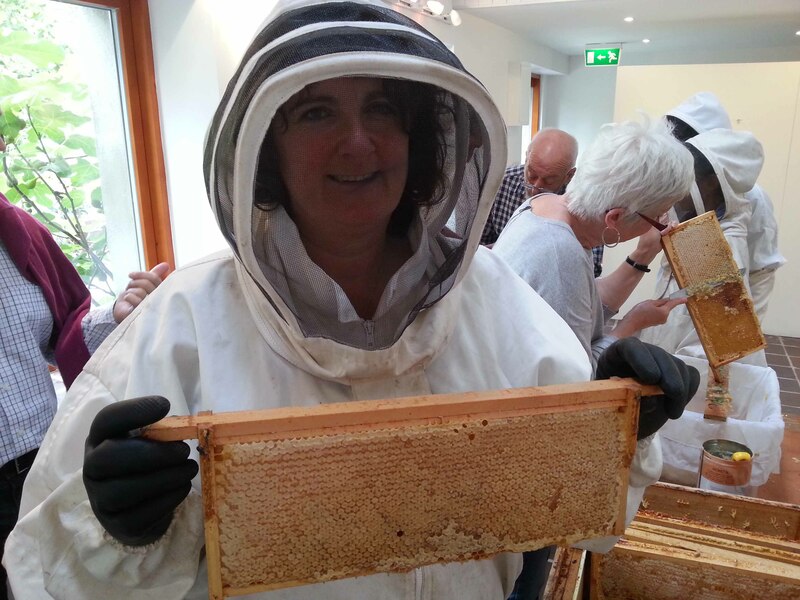 If you’d like to learn more about switching to organic methods head to the Organic Trust or IOFGA in Ireland or the Soil Association or Garden Organic in the UK for more information; or search for similar bodies in your own country. Above all try moving away from herbicides and to a more natural approach to weed control. Your garden and everything within it will love you for it. Note: whilst every effort has been made to link to cited papers and reputable news sources which are highlighted throughout this post, the author cannot take responsibility for the content contained within the links. Weeding without Chemicals – What Are Your Options? 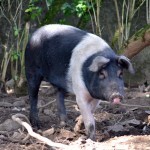 Pigs – Do You Think They Know? Thanks Catherine. I recognise the horror you must have felt walking through those fields and sympathise. Particularly horrible when you live in such a naturally beautiful area. That’s a great post Dee I really believe people don’t think roundup is harmful because it is so freely available. Most of us presume others have looked after the legislation for our benefit and don’t bother with the fine print on the labels. I believe no school should be allowed to use these chemicals, grounds people should go back to cultural and mechanical controls.Hopefully the SUD once enforced will restrict uninformed usage. I completely agree with you Yvonne. I’ve applauded the work Kathe Burke has done in Stoneybatter campaigning to stop the council spraying it in the streets. My sister was just telling me the general public aren’t allowed to buy it in Canada, only the farmers. Great post, Dee. I nearly cried recently when I saw a farmer spraying a field next to mine. He did leave a courtesy gap on my side, but I doubt it made much difference. Not sure what it was – fertilizer or herbicide, but I still don’t want sprays anywhere near my organic produce. I’m with you on learning to love weeds. 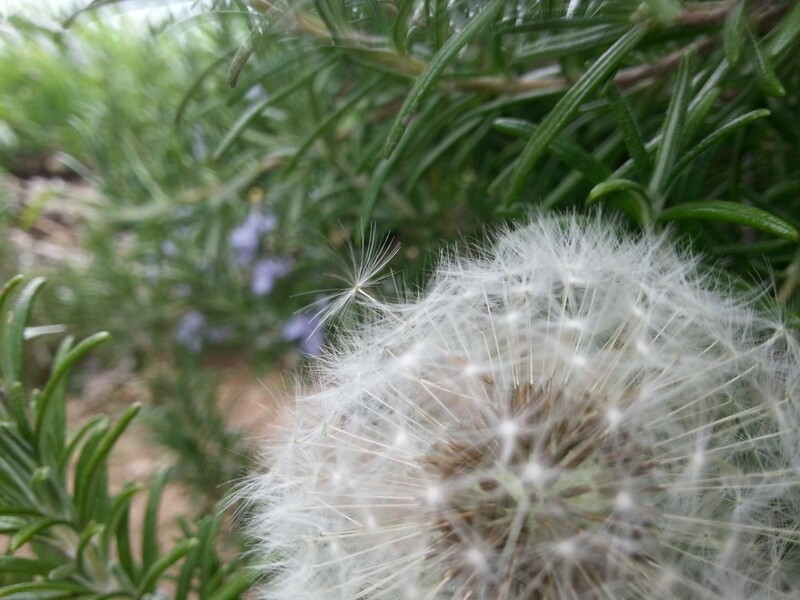 I wrote a post earlier this summer on how I think dandelions are beautiful, esp. the seed heads like the one you have above. We also use the sorrel in our garden to make a wonderfully sour soup. I’m not sure how the cycle can be broken, with so many people working hard in offices all week and relying on supermarkets for inexpensive food at the weekends. The concept of growing your own or foraging, even if it’s just a portion of what you eat, is being constantly eroded. Thanks for your continued efforts encouraging people to give it a try! Thanks June and I can imagine. Our hedgerow was sprayed by accident once and I was in pieces seeing all the death. I was asked a few times where people stand re drifting from farmers spraying and still haven’t got to the bottom of it. Getting on well with the farmer helps! I’d really like to do some weekend workshops in the hope they’ll attract working people as I find that once they begin to learn about food and the industry in general, habits change quickly but yes, it does seem like an uphill battle at times.